Book 2 in the" New York Times "bestselling trilogy, perfect for fans of Battlestar Gallactica and "Prometheus"
It's been three months since Amy was unplugged. The life she always knew is over. Everywhere she looks, she sees the walls of the spaceship "Godspeed. "But there may just be hope: Elder has assumed leadership of the ship. He's finally free to act on his vision--no more Phydus, no more lies. But when Elder learns shocking news, he and Amy must race to discover the truth behind life on "Godspeed," all the while dealing with the love that's growing between them and the chaos that threatens to tear them apart. Beth Revis catapulted readers into the far reaches of space with her "New York Times "bestselling debut, "Across the Universe." 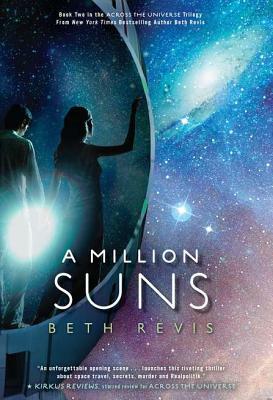 In "A Million Suns, " Beth deepens the mystery with action, suspense, romance, and deep philosophical questions. And this time it all builds to one mind-bending conclusion: THEY HAVE TO GET OFF THIS SHIP. Beth Revis lives in rural North Carolina with her husband and dog, and believes space is nowhere near the final frontier. "Across the Universe" is her first novel.